I hope everyone had an amazing night! 2012..that's so weird to say but very exciting! I found this dress at Value Village for $20 and found out it is a vintage 80's dress which I\m sure would have cost a lot more anywhere else! like the new year outfit! Cute shoes. I love the pop of pink color in your look. i love the detail of the beading on the dress as well as the shoulders that resemble wings of a beautiful, graceful bird. hope you enjoyed your new year! wow, such a gorgeous outfit! especially for this time of year! Love the shoulders on that dress. I love this one!! 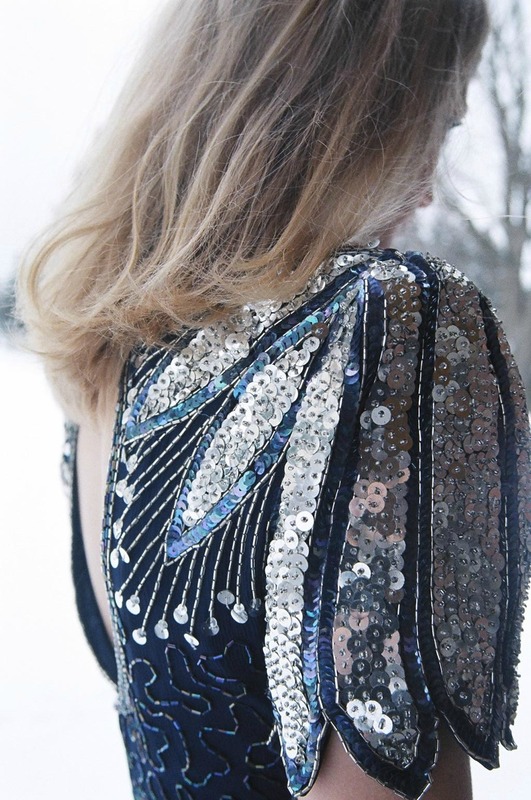 What a perfect/stunning new years dress. UNESTABLISH - The Online Retail Store.